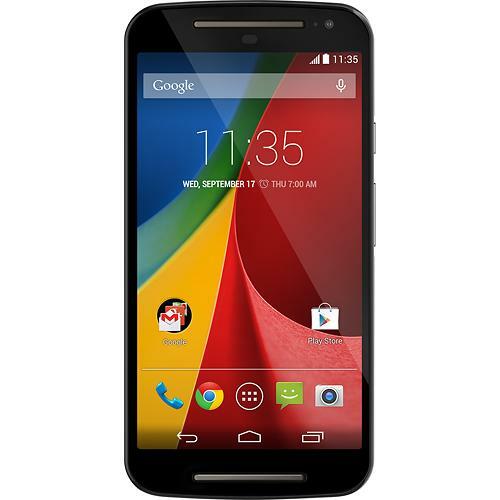 The Motorola Moto G is a low-cost Android smartphone with decent hardware specifications. The latest version of the Motorola Moto G has been released in 2014 and is currently in its second generation. 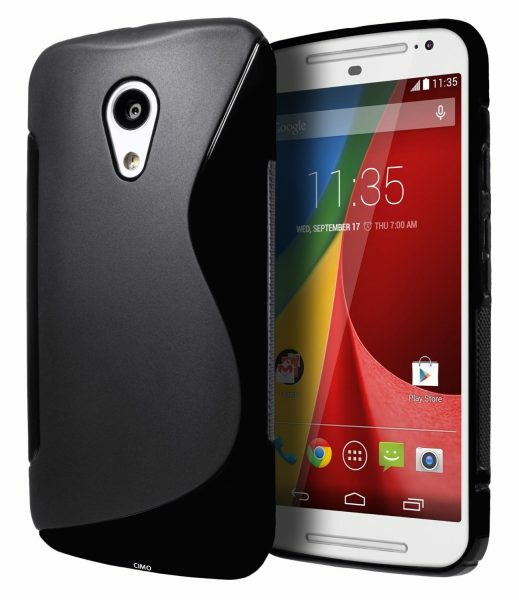 We have listed below the top 10 best Motorola Moto G (2nd Gen 2014) cases and covers. 1. Tudia Slim-Fit Case for Motorola Moto G (2nd Gen 2014): The Tudia Slim-Fit Case for Motorola Moto G (2nd Gen 2014) comes in dual-colors and looks good. This Motorola Moto G case is slim-fitting and offers dual-layer protection to the Moto G smartphone. 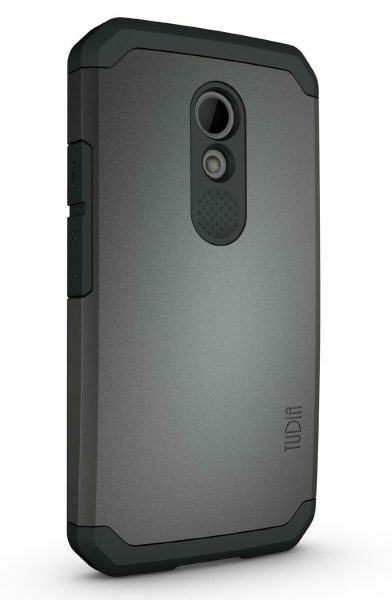 The Tudia Slim-Fit Case for Motorola Moto G (2nd Gen 2014) is available in 4 different colors. 2. Ringke Slim Moto G (2nd Gen 2014) Case: The Ringke Slim Moto G (2nd Gen 2014) Case features a super-slim design that fits perfectly on the Motorola Moto G. The case has a soft texture on the back and is available in two colors: black and white. 3. NageBee Wallet Flip Case Cover for Motorola Moto G (2nd Gen 2014): If you are looking for a good wallet flip case for the Motorola Moto G, the NageBee Wallet Flip Case Cover for Motorola Moto G (2nd Gen 2014) is a great choice. The NageBee Wallet Flip Case looks good and has pockets for your credit cards, business cards and cash. 4. 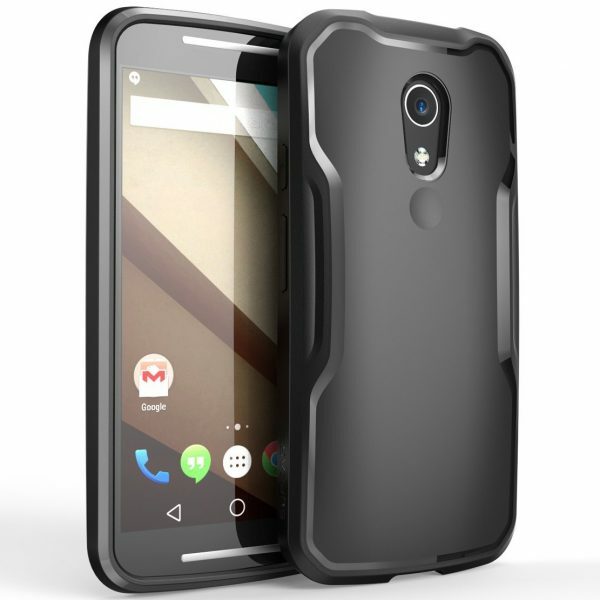 Supcase Motorola Moto G (2nd Gen 2014) Case: The Supcase Motorola Moto G (2nd Gen 2014) Case has a sporty design and also provides good protection to the Motorola Moto G from drops, bumps and scratches. 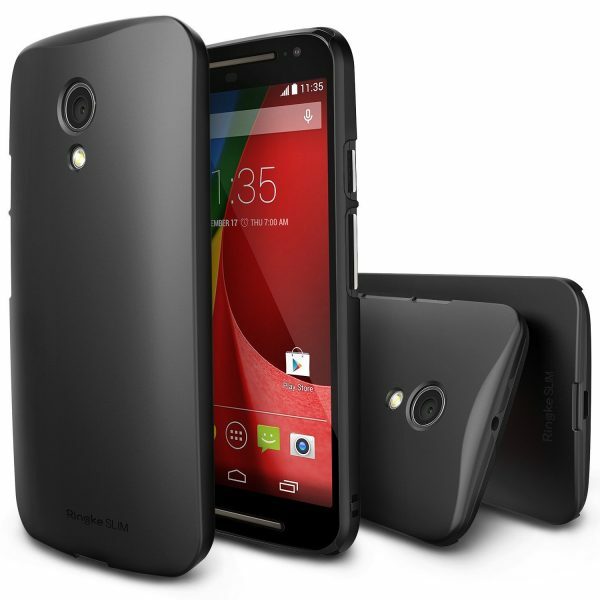 The Supcase Motorola Moto G (2nd Gen 2014) Case is available in 3 colors. 5. Cruzerlite Bugdroid Circuit TPU Case for the New Moto G: Stand out from the crowd with the Cruzerlite Bugdroid Circuit TPU Case for the New Moto G. The case features a custom designed Bugdroid Circuit print and is made from shock absorbent, shatterproof and anti-scratch material. 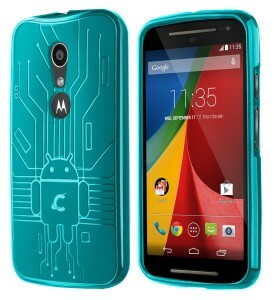 The Cruzerlite Bugdroid Circuit TPU Case for the New Moto G is available in a total of 11 different bright colors. 6. 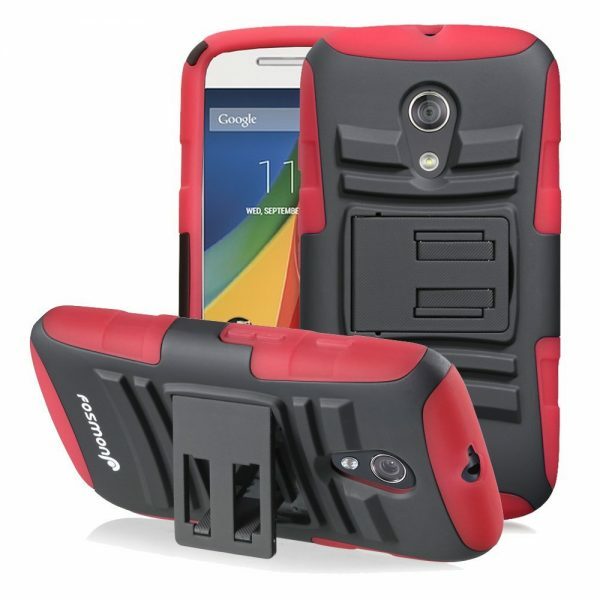 Fosmon Holster Cover Kickstand Case for Motorola Moto G (2nd Generation 2014): The Fosmon Holster Cover Kickstand Case for Motorola Moto G (2nd Generation 2014) has a holster clip as well as a built-in kickstand. 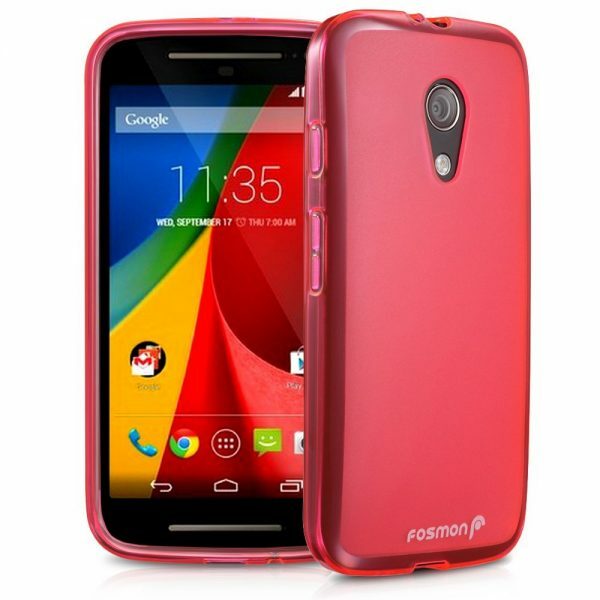 The Fosmon Holster Cover Kickstand Case for Motorola Moto G (2nd Generation 2014) is available in 3 colors. 7. LK Motorola Moto G (2nd Gen 2014) Case: The LK Motorola Moto G (2nd Gen 2014) Case offers excellent grip to the Motorola Moto G. The LK Motorola Moto G (2nd Gen 2014) Case is made from shock absorbent, shatterproof, and anti-scratch material and is available in 4 colors. The case comes with free screen protector and stylus. 8. Cimo Wave Case for Motorola Moto G (2nd Generation, 2014): The Cimo Wave Case for Motorola Moto G (2nd Generation, 2014) looks good with the wave pattern on the back. 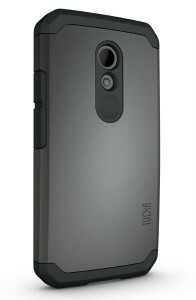 The case has a raised bevel to protect the touchscreen. The Cimo Wave Case for Motorola Moto G (2nd Generation, 2014) is available in 3 colors. 9. 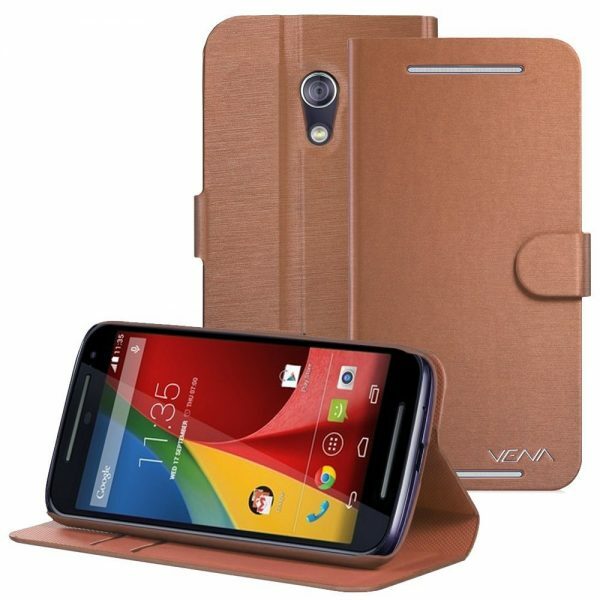 Vena Motorola Moto G (2nd Gen, 2014) Wallet Case: The Vena Motorola Moto G (2nd Gen, 2014) Wallet Case is equipped with card slots and the cover also functions as a built-in stand. 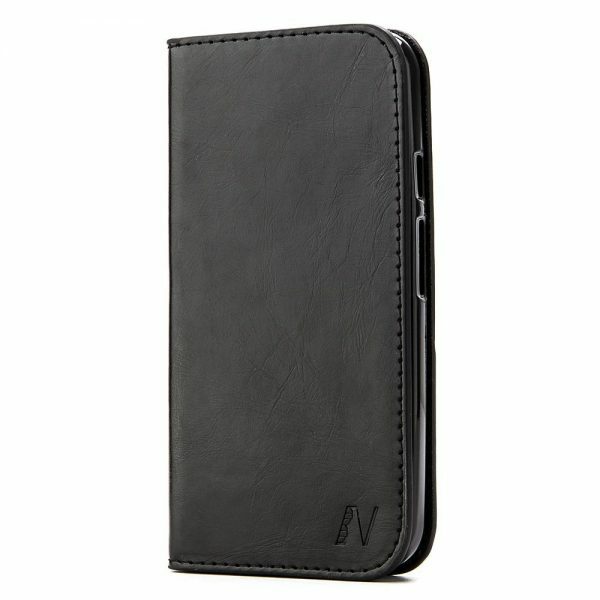 The Vena Motorola Moto G (2nd Gen, 2014) Wallet Case is available in 4 colors. 10. Fosmon Dura-Frost Case Cover for Motorola Moto G (2nd Gen 2014): The Fosmon Dura-Frost Case Cover for Motorola Moto G (2nd Gen 2014) has a minimalistic design and a matte look. This Motorola Moto G (2nd Gen 2014) case cover is available in 4 colors. 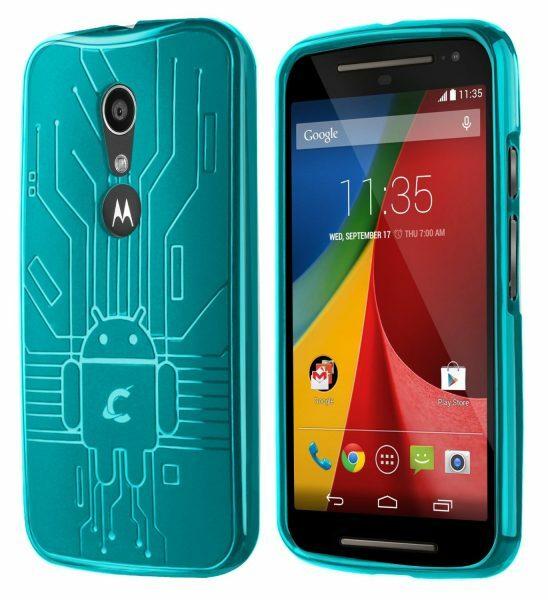 These are the top 10 best Motorola Moto G (2nd Gen 2014) cases and covers. Do let us know what you like through the comment box below. I have been using the Fosmon Holster Cover Kickstand Case for Motorola Moto G (2nd Generation 2014) for the past year, but what I found is the silicon is a bit loose so dust and debris gets into the case easily. The exoskeleton in theory is a great idea, but the plastics used are on the cheap side. I have had two of the black corner clips snap off with virtually no effort (taking the phone out of my pocket, a clip snagged on some fabric and broke). Without the exoskeleton, the case is pretty much useless. Fosmon is suppose to have a 1-year warranty on their cases, but attempting to contact their customer support proved to be pointless as I never got a return call or email.